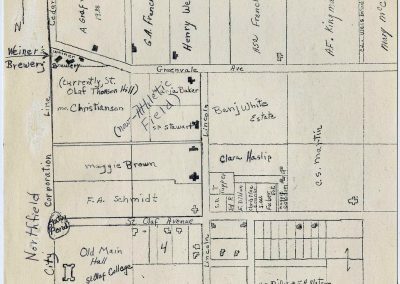 The “devil at your doorstep” was how the St. Olaf College administration viewed a small brewery and beer garden once located directly behind Thorson Hall. 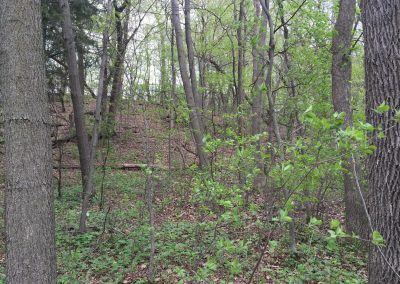 In 1885, Adolph Grafmueller purchased the land adjoining Manitou Heights. 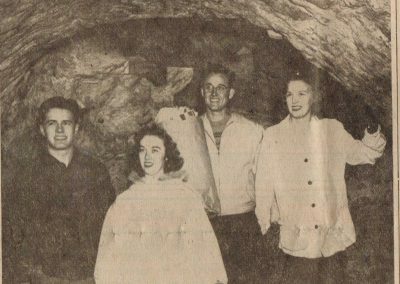 He enlarged a natural sandstone cave for beer manufacturing and storage, creating what students nicknamed “Brewery Hill.” In front of the cave he built a couple of buildings from limestone. 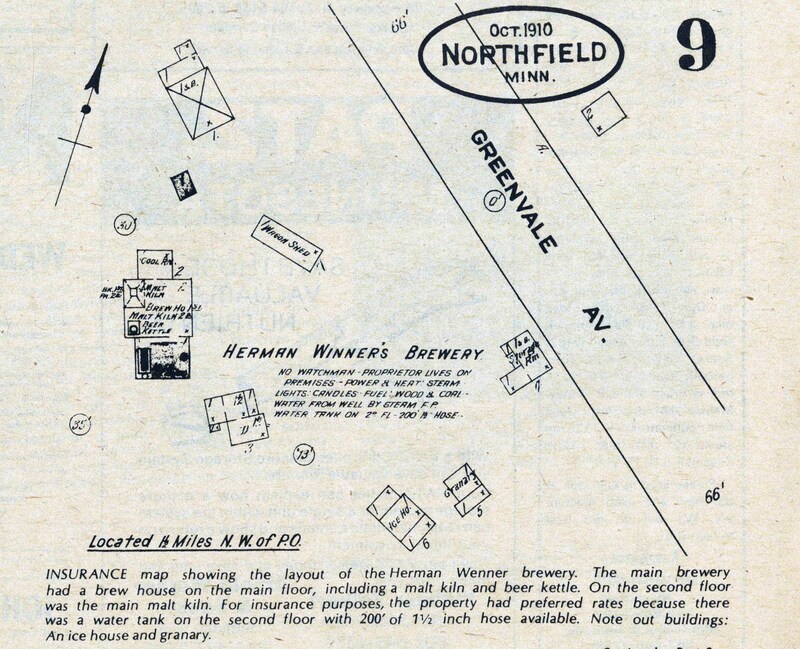 The large flat area in front served as a beer garden with tables, chairs, and colored lights. 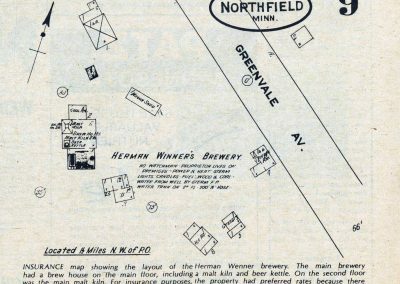 Professor Carl Mellby recounted a story from June 1904, when Hermann Wenner peddled beer without a license. 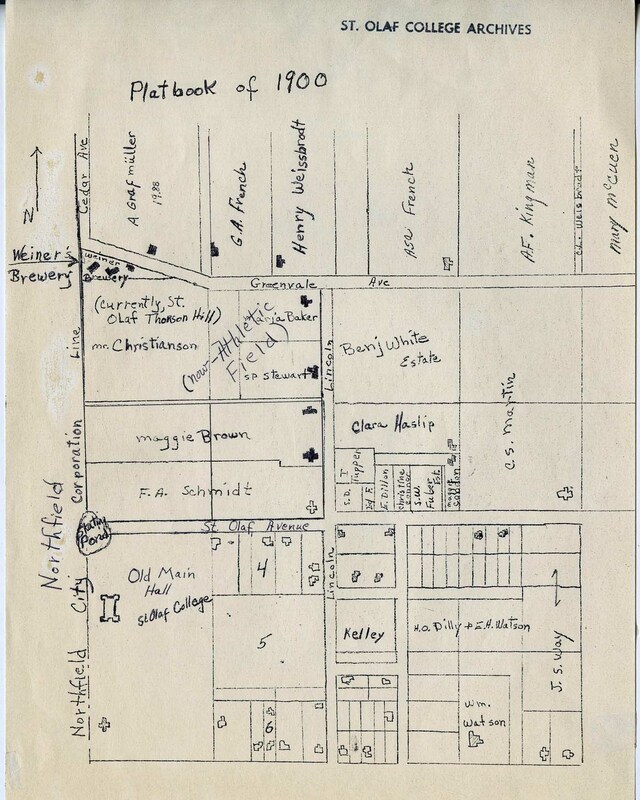 The college was enthusiastic about getting the liquor traffic out of Northfield, so Professor Oluf Glasoe pretended to be a customer and secured samples. The beer purveyor and his wife were brought into court. They defended themselves by saying that they made and sold a valuable health drug. 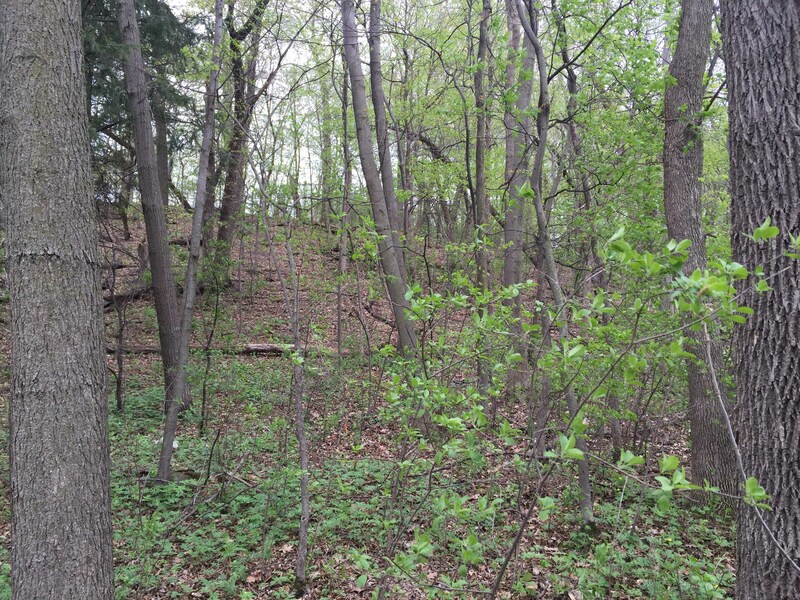 “Do you sell that to college boys?” demanded Judge Couper. Finally the lawyer summed up his case, making some strong statements that caused Mrs. Wenner, age 70, to become quite heated. When Judge Couper pronounced the sentence of $20, she rushed toward Professor Glasoe and began chasing him all over the room. He was afraid to leave for fear that she might catch up with him. He managed to dodge her by going around until she became exhausted. 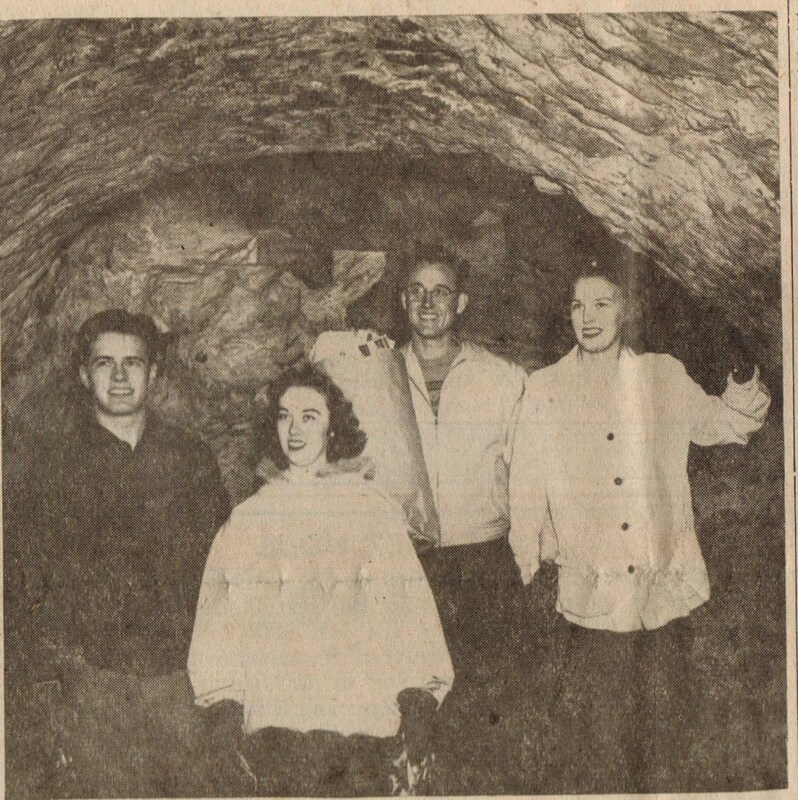 The college acquired the caves in the mid-1950s. 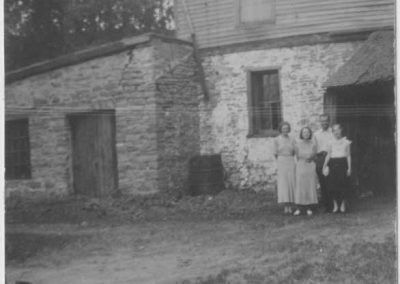 Before and after the purchase, students continued to frequent the site, a popular locale for beer and blanket parties, exploration, and other mischievous exploits. 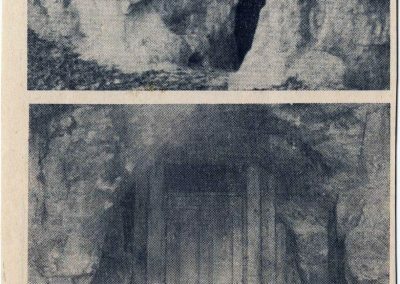 By the early 1960s, a door barred entry, but students continued to find ways to sneak in. 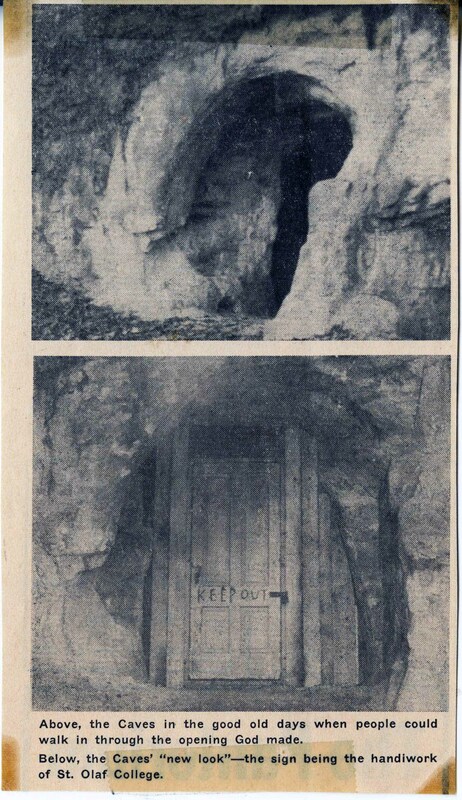 In 1987, the caves were permanently demolished after a student accident. To Enter or Not to Enter…That is the Question. 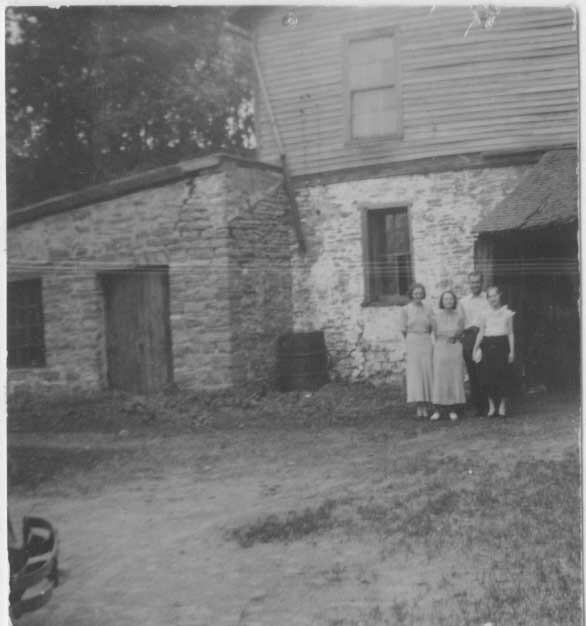 When the photograph was taken in 1931, the old brewery housed soda pop for the Northfield Bottling Co.; the site was renamed “Pop Hill.” Source St. Olaf College Archives.